We install luxurious orangeries in the towns of Thame, Oxford, Bicester and Aylesbury and the counties of Buckinghamshire and Oxfordshire. Generous Floor Area for Increased Living Space. Thermally Efficient for Year-Round Comfort. Orangeries are atrium-style conservatories, offering added privacy due to the use of brick pillars in the construction. Unlike other companies, we supply orangeries which incorporate essential ventilation into the designs, and our team can produce bespoke structures tailor-made to fit your requirements. When it comes to our orangeries, a wide range of shapes and options are available. You can also enhance them with other features, such as patio or French doors and everything can be tailored to your specific needs. This means that you’ll be able to bring a new addition to your home that is set to satisfy across the board. The original orangery design often suffered from an ‘oven’ or ‘freezer’ effect when the weather changed, causing it to be unusable at certain points of the year. This problem has been bypassed by modern innovations, allowing your orangery to remain useable no matter the weather. With this in mind, they are sure to be a worthwhile investment for your home. This design includes heightened thermal efficiency, which helps your home both get warmer and stay warmer for a longer period of time. In turn, this means that you could find yourself saving money on your heating bills across the course of the year, and could also help you to reduce your carbon footprint as well. Our orangeries are designed to meet current standards of home security, combining an inherently robust and rigid build with highly secure entrance points for your complete peace of mind. This means that your home will be protected against even the most determined intruder, keeping you, your family and your property safe. This is important as conservatories and orangeries are often targeted as a weak spot in the home, and a poor design can be exploited to gain access to your home. 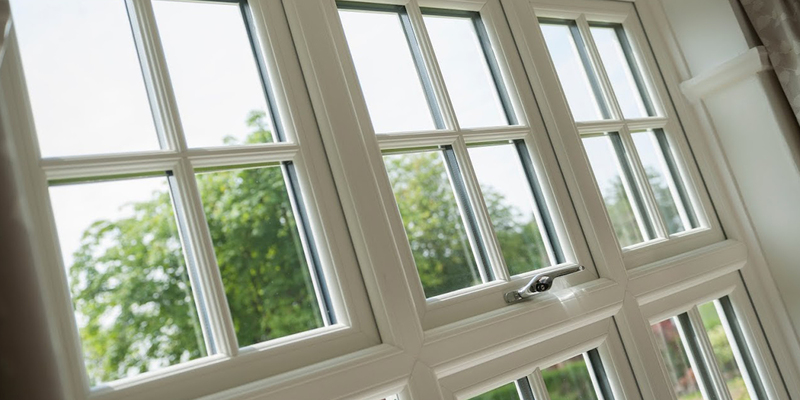 To combat this, our orangeries are fitted with high performance, multi-point locking systems that keep security consistent across the whole build. We also offer an orangery that comprises a hybrid design, somewhere between an orangery and a traditional extension. One of the big advantages of these designs is that they avoid the need to comply with local council red tape in many instances, allowing you to reduce overall hassle and stress to your home improvement experience. With this in mind, we’ll be able to offer you an orangery design that perfectly suits what you’re after. Whether your home is modern, traditional, period, heritage or new build, we’ll be able to offer you an orangery design for you. A member of our friendly team will be more than happy to offer you their expertise along the way. Our online quoting engine is the perfect place for you to get a free, instant and highly competitive orangery quote. All you will need to do is follow the simple step by step process to get a bespoke price, based on your specifications to make things as cost-effective as possible. Alternatively, you can get in touch with us via our online contact form if you would like to speak to a member of our friendly team. We’ll be more than happy to offer you a quote this way if you would prefer, of we’ll be on hand to answer any questions you may have. 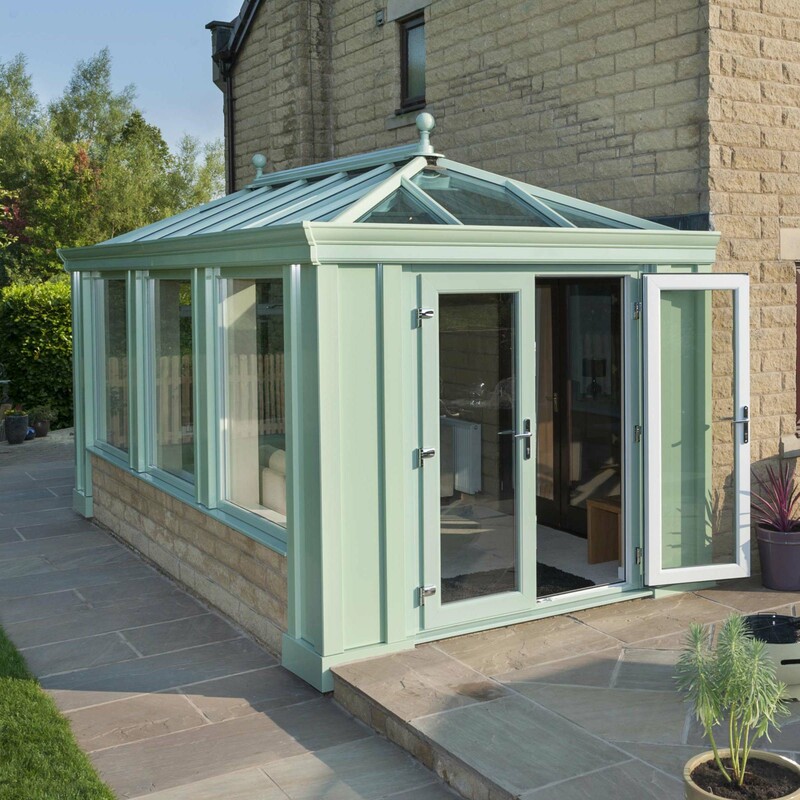 Our orangeries are made bespoke to your specifications, which ensures they will always be the ideal fit to suit your home and the space that you have. Although traditional in their appearance, our orangeries have been designed to offer modern standards of performance across the board. 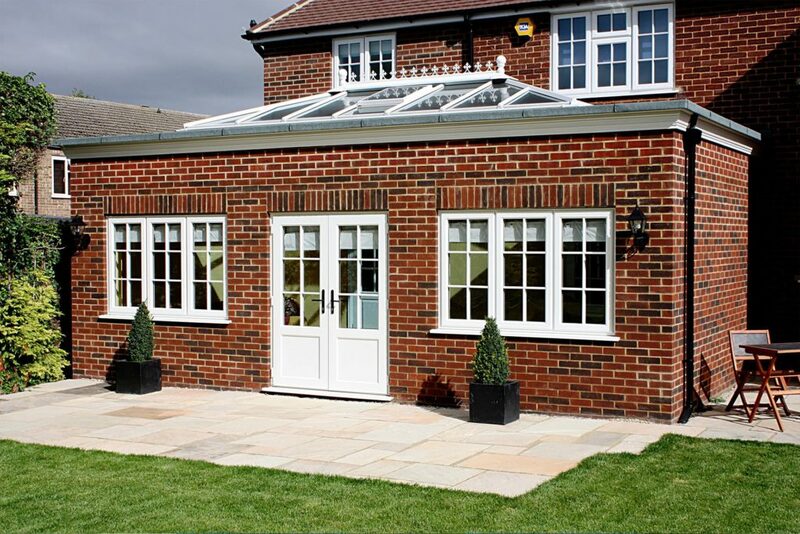 Our orangeries can be fitted with a range of options, including flooring, heating and glazing. This means that you’ll be able to tailor your orangery to suit you. The orangeries that we offer have been designed to replicate the traditional orangery design, offering eye-catching and charming brick piers. Due to their large floor space, orangeries can be used for a wide range of uses. This includes offices, gyms, dining rooms, living rooms and more. As they are made from modern materials, our orangeries require very little input from you to ensure they perform at their very best. What's the Difference Between Conservatories and Orangeries? 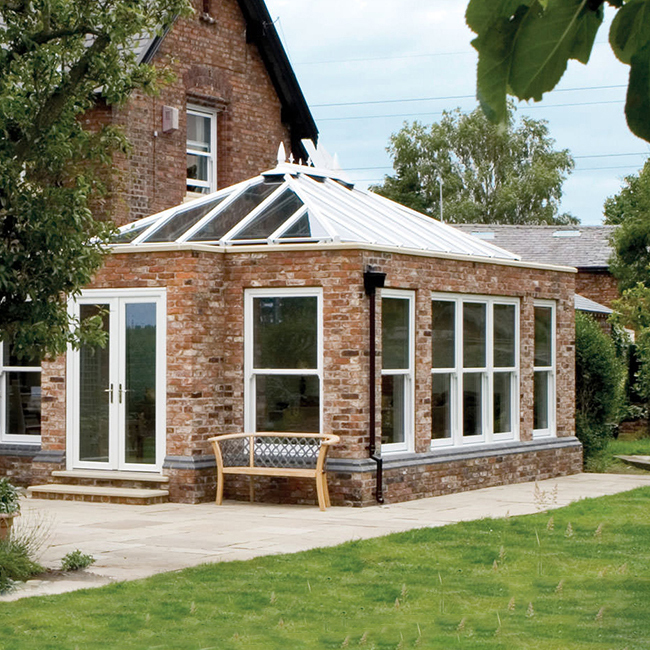 Orangeries comprise a brick-based design, achieving less glass for a more structural feel. Conservatories are normally built using uPVC and have a higher glass to frame ratio. Do Orangeries Need Planning Permission? Planning permission requirements are dependent on a number of factors. A member of our friendly team will be on hand to help make things as smooth as possible across the board. What Shape Do Orangeries Come In? 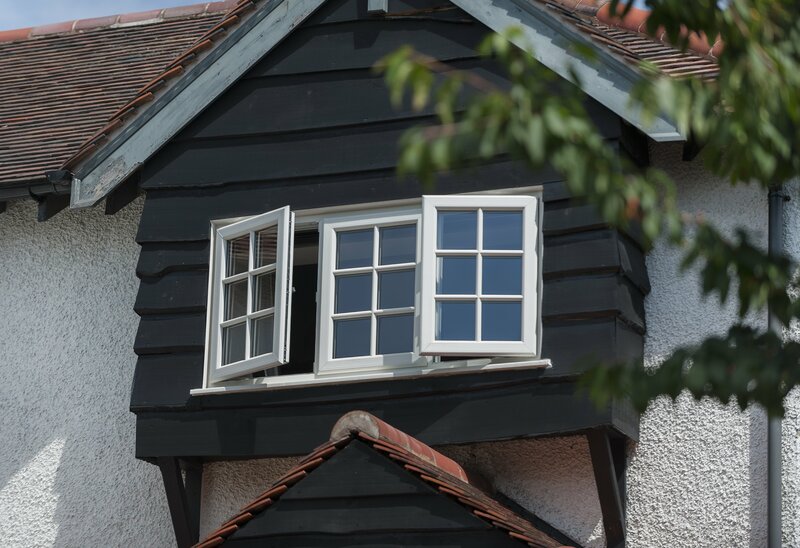 The base of our orangeries, much like our conservatories, can be tailored to suit a wide range of styles. This means that you’ll be able to get the right fit for your property.